Compliment your style with purposeful decor. We are honored to have been invited into homes from Philadelphia to San Francisco to help individuals and families achieve healthier and more aesthetically pleasing living spaces. During an introductory meeting, our team visits your home or meets you in a space where we can all feel inspired. 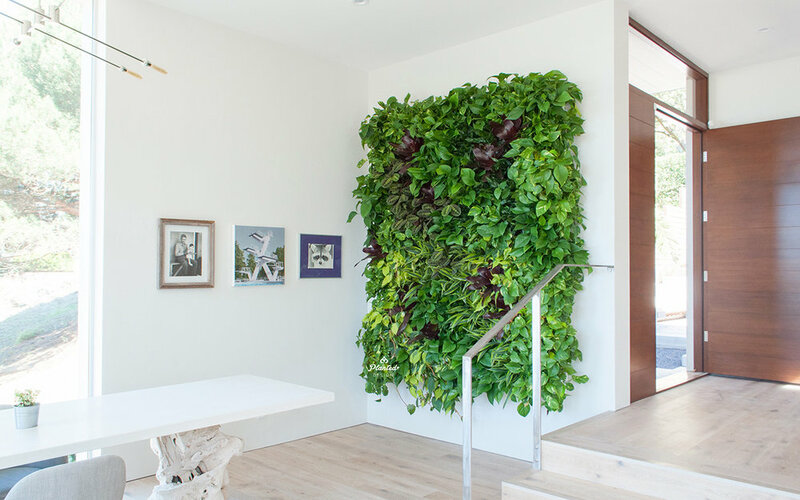 Whether it is designing a 25 foot succulent wall in your atrium, creating a vertical herb garden in your kitchen, or selecting the best place to hang your new preserved moss plant painting, we can recommend plants for your distinct style and desired level of maintenance. We are designers by trade, but our passion comes from first-hand experience with how plants impact and improve lives.